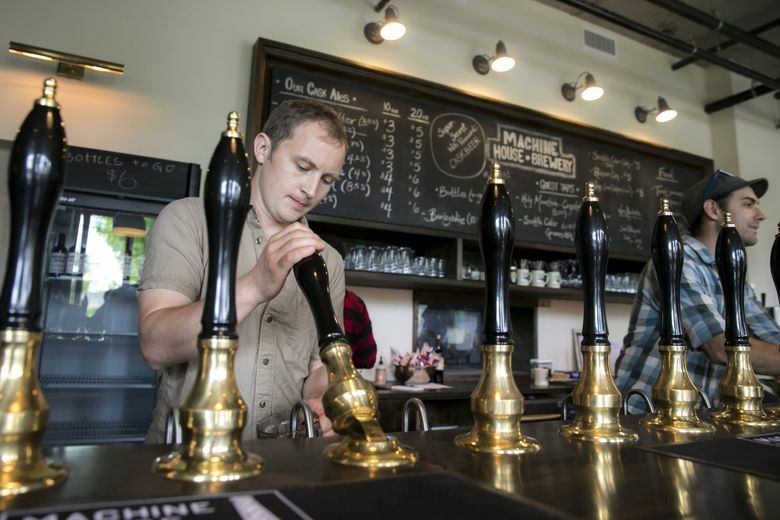 One of the city's best microbreweries has expanded near Capitol Hill, while the city's tallest building has put in a bar to go with its dreamy view. Also, one of Seattle's favorite burger-and-shake joints has a bar, which means you can get your milkshake spiked. Captive Spirits Distilling, one of the breakout stars in the state’s distillery scene, has opened a 2,400-square-foot tour-and-tasting room near the Ballard bridge. The distillery serves cocktails (its gins and barrel-aged gins are mixed with tonic or shrubs such as Peach-Sichuan peppercorn). The tasting room will also feature limited releases including its three-year-old bourbon-barrel-aged gin and soon its signature gin aged in an apple-brandy barrel and another in an Ardbeg barrel. Revolution Wine, a retail shop/bar, has converted into a cocktail den, The Belmont Lounge, focusing on big, boozy classics like the Manhattan, Old Fashioned and Vesper. Food options remain limited given this East Pike Street corner space doesn’t have a full kitchen. It’s the usual cheese-and-charcuterie offerings, though there are some hot items including meatballs. The good news: The two things patrons loved about the previous wine bar — its sidewalk-cafe area and its frosé — aren’t going away. The $25 million renovation to the Skyview Observatory at Columbia Center includes a bar, located on the 73rd floor of Seattle’s tallest skyscraper. The ambitious remodel was completed just in time to compete with the Space Needle for the summer tourist rush. The drink list is heavy on Northwest and Old World wines, local craft beers and a few cocktails, though the best deal is just to order a bottle of Prosecco ($28) and soak in the 360-degree view for a couple of hours. Patterson Cellars is the latest to expand into Sodo’s sleek-wine warehouse hub, Urban Works, which now boasts a New York-style pizza spot and a lunch sandwich counter to go with the 10 other wine-and-beer tasting rooms. Urban Works is becoming a weekend attraction for wine lovers who don’t want to trek to Woodinville. A server at Lark has started a cocktail pop-up bar inside South Paw on Capitol Hill. The “Pop Up Bar” runs Thursdays-Saturdays from 9 p.m.- 2 a.m. There will be karaoke on Thursdays, open-mic night on Fridays and a DJ on Saturdays. Lil Woody’s now has a cocktail bar, Woody’s Cantina, located next to its burger counter in South Lake Union. Now you can get a spiked milk shake with your choice of booze. (Salted caramel shake with a shot of bourbon is the way to go.) There’s also an underutilized patio if you’re looking for an outdoor spot that can take large, after-work parties.